← Which Olympics are better, Summer or Winter? All I want for Christmas is my PEDs – Has ASADA ruined Christmas for everybody? The spectre of drug enhanced athletes hovers over Australian Sport. I remember quite vividly the day I found out Santa Claus wasn’t real. I can’t remember who told me but I remember that feeling of disbelief. I don’t think I ever believed in the Easter Bunny or the Tooth Fairy. To be fair I can’t even remember whether my parents said much about either of them (I remember getting Easter eggs and getting some money for teeth which seemed odd at the time) but I definitely remember the day when I found out that Santa Claus would no longer be coming to town. the two major football codes in Australia were riddled with PED users (and possibly every other sport including lawn bowls if the Australian Crime Commission was to be believed). Fans of both codes of football were immediately in denial. The announcement which seemed particularly scant on detail (but incriminating every player in both sports none-the-less) didn’t seem real, however, as the year progressed a series of press releases (timed no doubt to build anticipation) have slowly revealed that Australian sport is rife with PEDs…apparently. Now PEDs in sport is not a new subject. In Rugby League, Rodney Howe, Adam McDougall and Robbie O’Davis have all been suspended for use of PEDs as have a range of other players. In Aussie Rules, PED use appears less prevalent (or at least less publicised) with Justin Charles being one of the few examples. Each time it seemed like the sky was falling down for the sport involved, testing would increase and everything would settle down for a time. 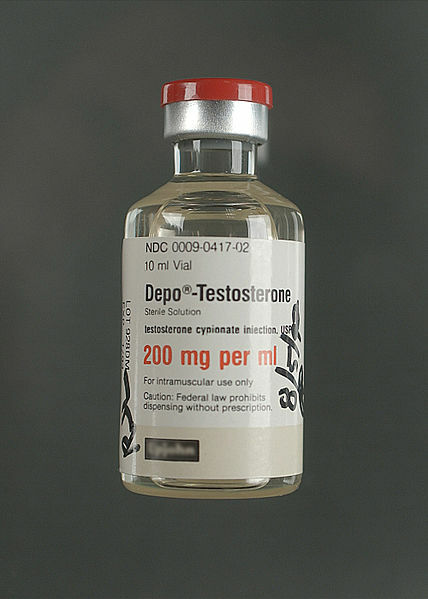 The threat of PEDs would eventually subside and disappear. Will it be different this time? The protracted nature of ASADA’s investigation has already set a benchmark for continuing drama, however, we are still left wondering whether 7 February 2013 truly was the blackest day in Australian Sport. Is widespread use of PEDs in Australia a current reality or is it still over the horizon? Now Australia seems in step with the rest of the world (to Australians at least). New episodes of our favourite shows are only delayed a few days (if at all) and PS4/Xbox One arrived on our shores relatively quickly, however, when it comes to drugs in sport Australia seems to be lagging behind. In the rest of the modern world drugs in sport arrived some time ago. In athletics the list of 100m champions shamed by PED use and consequent suspensions is lengthy. From Ben Johnson and Linford Christie right up to the present day with Asafa Powell, Tyson Gay and Veronica Campbell-Brown (Campbell-Brown tested positive for a banned diuretic, which can be used as a masking agent for PEDs). It seems that no-one can win an Olympic medal without some sort of illegal assistance. The credibility of the sport is so damaged that any new champion is immediately under scrutiny for their performance. I hope for the sake of fans everywhere that Usain Bolt is and remains clean for his entire career. Now that would be something. American sport is no different. Baseball has been rocked by scandal after scandal. In the late 1990s Major League Baseball fans were captivated by a three player assault on the longstanding single season home run record. Babe Ruth (the American Don Bradman) was the holder of the record (60) from 1927 until 1961 when Roger Maris (61) surpassed him. During the 1998 season Mark McGwire (70) and Sammy Sosa (66) duelled to smash the record, capturing the imagination of Americans all season long. 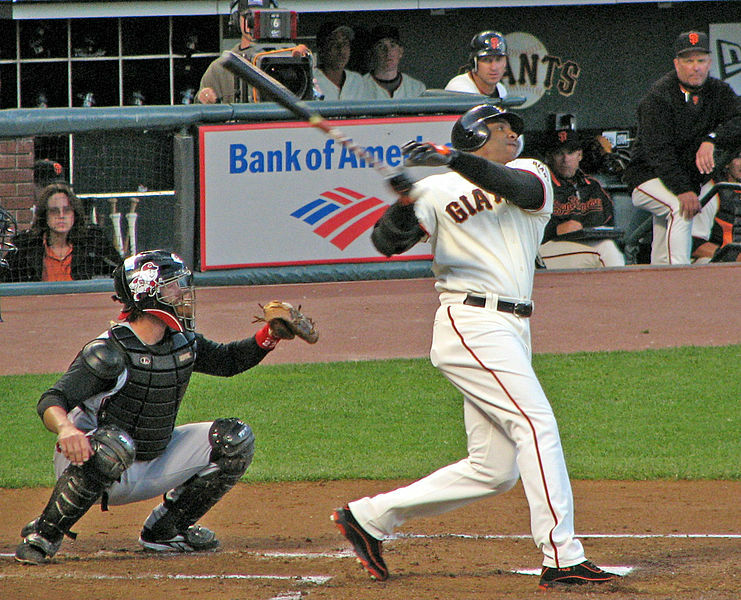 Barry Bonds did the same just three seasons later to achieve the current record of 73. It has been downhill ever since. All three players were implicated in the use of PEDs (Bonds during the BALCO controversy admitted that his trainer applied an oil and a rubbing balm but said he thought they weren’t PEDs, Sammy Sosa was on a list of players having failed a drug test in 2003 (but this report has never been substantiated) and Mark McGwire has openly admitted to regular use of PEDs during his career). Many more have since been suspended for drug assistance irreparably damaging the reputation of the sport. The current Biogenisis Clinic scandal (involving players like Ryan Braun and Alex Rodriguez) is the latest in a long list of scandals where high profile players have been suspended for PED use. It will take some time (if ever) for baseball to restore its image. Cycling has for many years been overshadowed by rumour, innuendo and athletes being suspended for PED use, however, Lance Armstrong was the killer blow for the sport. Many, many cyclists had been suspended prior to this but Lance Armstrong for so long a figurehead for the anti-drug lobby and vociferous defender of a clean sport shattered the sport’s reputation perhaps forever. Can cycling ever recover? The events of the current drug drama have played out very slowly over 2013 and 2014 in Australia. The scalps have been comparatively isolated and low profile (although Sandor Earl’s hair colour could hardly be called low profile). Coaches of Essendon and Cronulla have both been suspended and both clubs have taken severe body blows to their reputations and bank balances, however, at this stage the fallout hasn’t, for instance, exceeded the fallout experienced by the Melbourne Storm for their salary cap rorting debacle. ASADA are yet to finalise their investigation (will they ever finalise their investigation?) and one must wonder how long this will take if legal proceedings are to follow. It could take years and years all told (maybe it should have been titled ‘The Blackest Decade in Australian Sport’). ASADA may announce proven PED use by a number of marquee athletes in the same ilk as Lance Armstrong or Barry Bonds or ASADA may point to such a variety and number of athletes caught that the public may conclude that sport in Australia (or at least the sport in question) is rotten to the core. This hasn’t happened in Australia yet and much will depend on what ASADA announces in the near future. However, if the proven drug taking is contained to a single team or to minor fringe players then perhaps the weight of public opinion will be that Australia is different from everywhere else in the world and all is right in the sporting landscape once again. Maybe Santa is real after all…only ASADA can tell us otherwise. What do people think of the current saga? Are you sick of it? Do you think both sports are rotten to the core and the true culprits will probably never be caught now? Do you think ASADA jumped the gun by announcing their investigation prior to commencement (to be fair I don’t think that was their call)? Stay tuned for the next exciting episode on Thursday, 20 February 2014 titled ‘7 Things the NRL must do to rule the Universe’. This entry was tagged ASADA, Australia, Australian Rules, General Sports, PEDs, Rugby League. Bookmark the permalink. Great read Mr Chin Fat, very insightful.